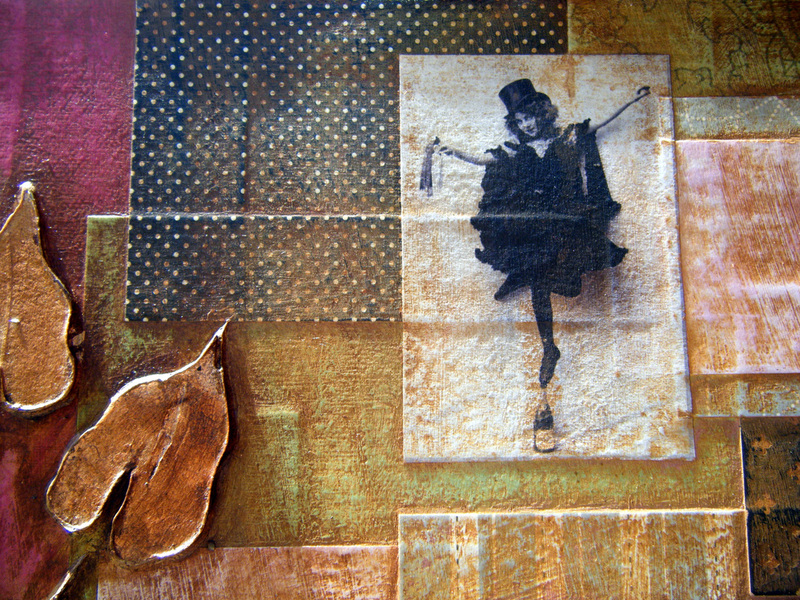 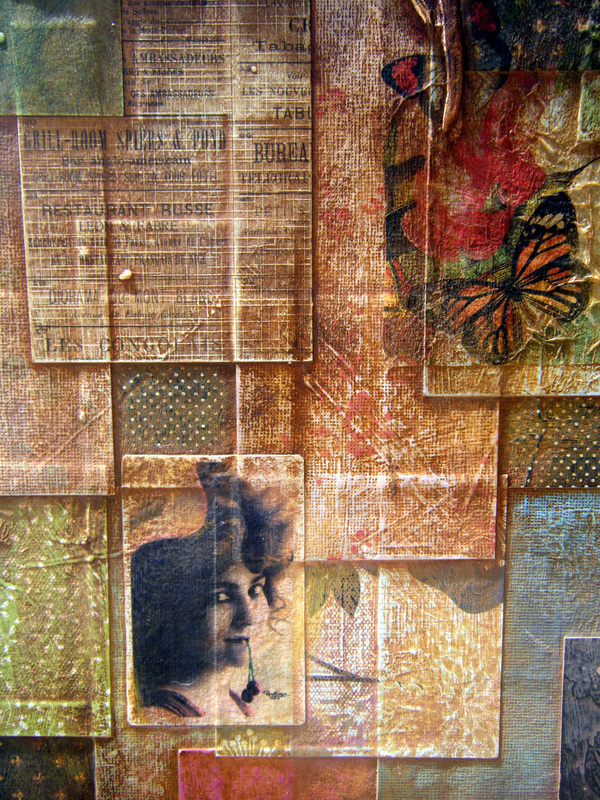 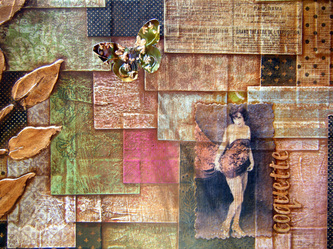 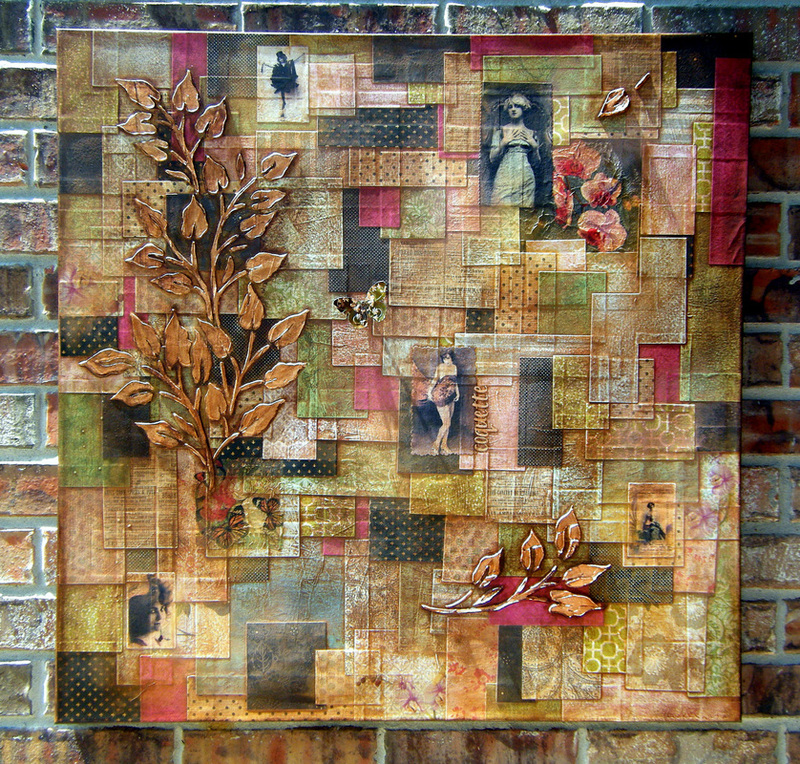 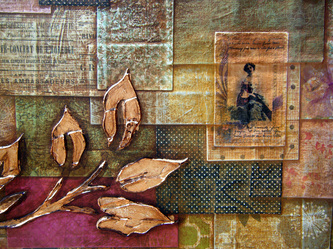 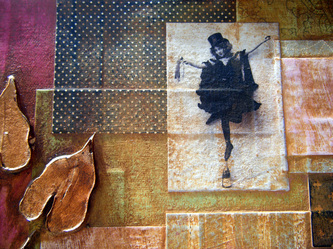 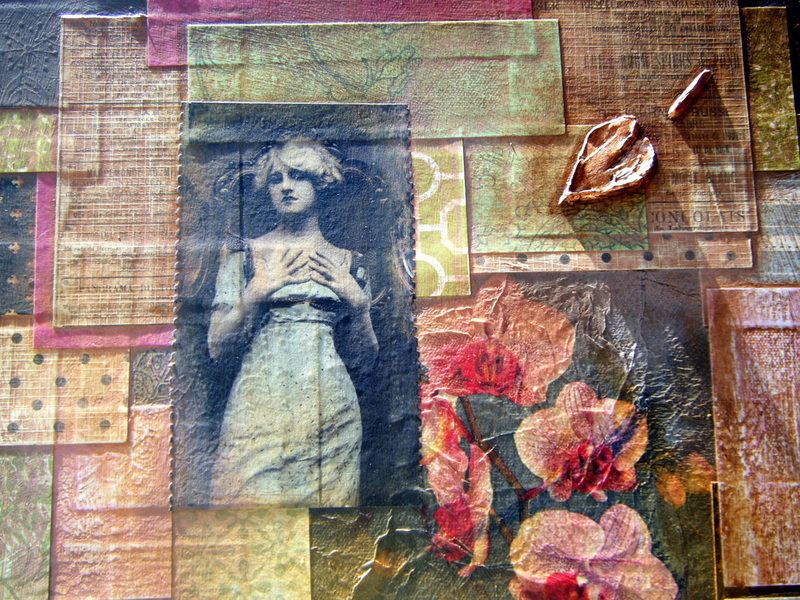 is a mixed media work featuring alluring women with copper leaf elements. 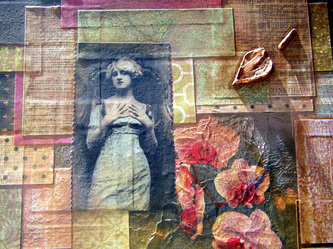 "Becoming"; 2011. 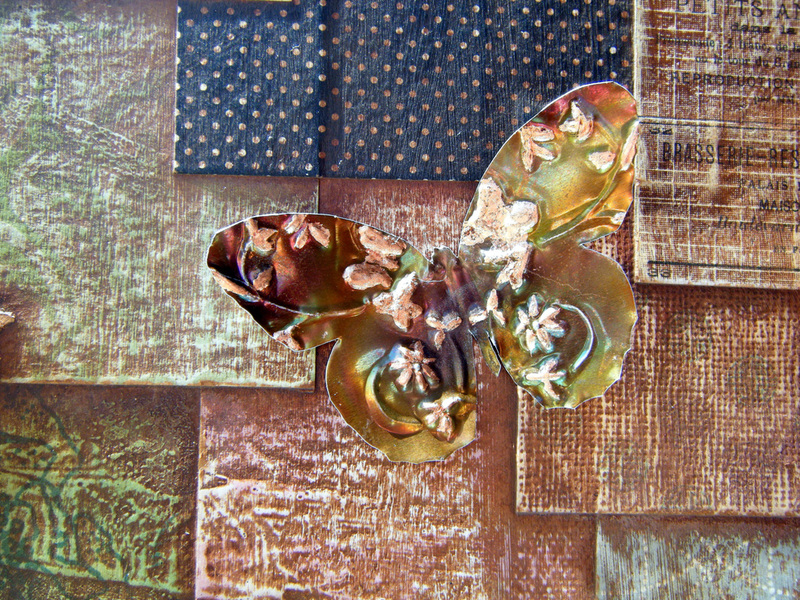 Paper, acrylic, recycled aluminum drink can, plaster, copper leaf on canvas. 32 x 32 x 1.5" $1000.